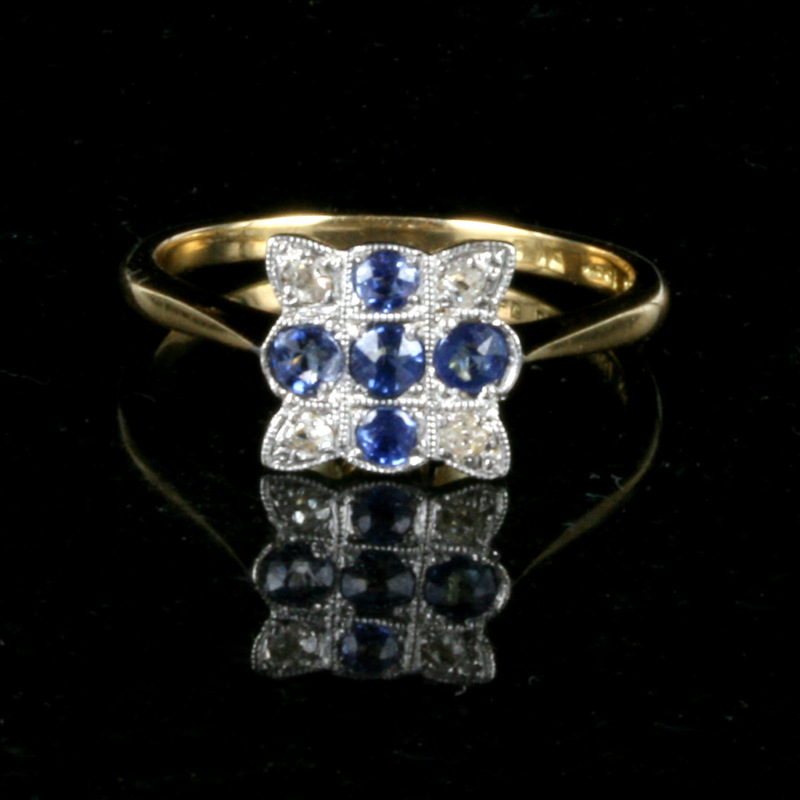 Edwardian era sapphire & diamond ring. Product code: 1239 Categories: Sold Items, Sold Rings. What an attractive design for a ring. 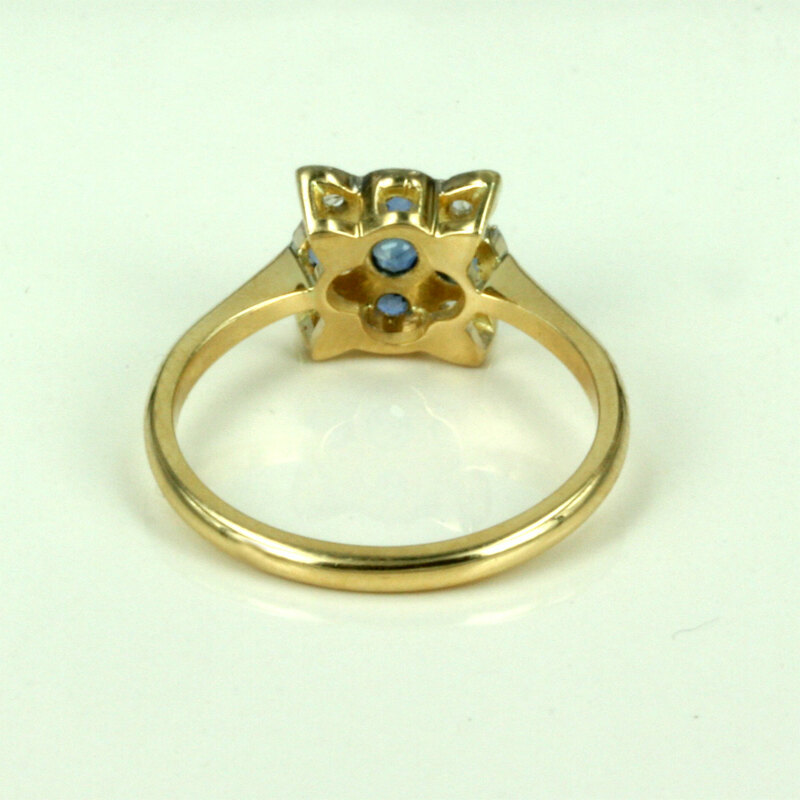 Made in the early 1900’s, this Edwardian era ring is hand made in 18ct yellow gold and platinum on the top, this ring is set with 5 beautiful sapphires that toal 0.32 carats, and 4 diamonds that total 0.08 carats, and all in a wonderful design that looks so elegant and stylish. 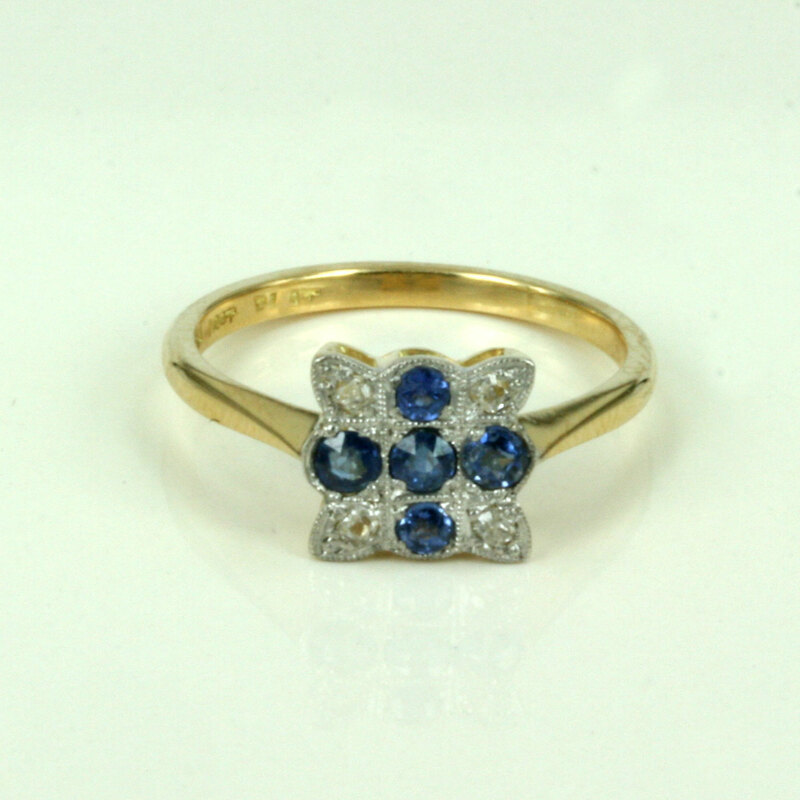 In perfect condition for every day wear, this antique Edwardian sapphire and diamond ring will be always be complimented on.